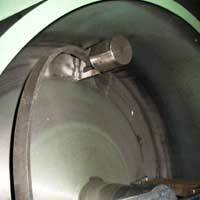 We are one of the major manufacturers and suppliers of Rotating Bowls in the market. Manufactured using finest quality raw materials our Rotating Bowls are hugely demanded in the market. We offer Rotating Bowls that are specially designed to meet performance requirement and quality standards set by the international quality standards. Our Rotating Bowls do not allow the mixture to solidify by constantly stirring it. 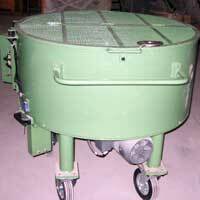 Our Rotating Mixers are mobile and can be relocated easily for material handling purpose. © Copyright 2010. Gmp Systech Egineering Pvt . Ltd.